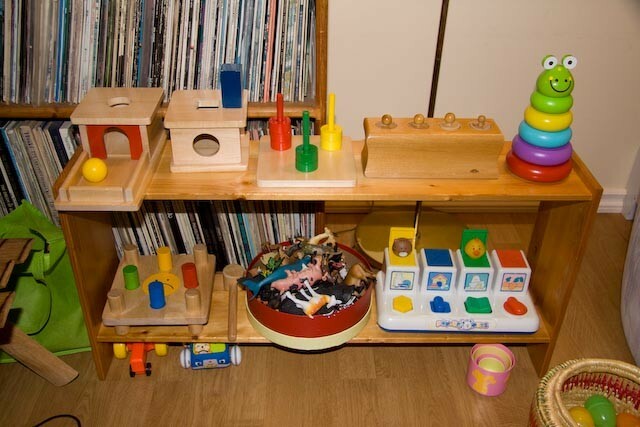 The Montessori Child at Home: Music at home. 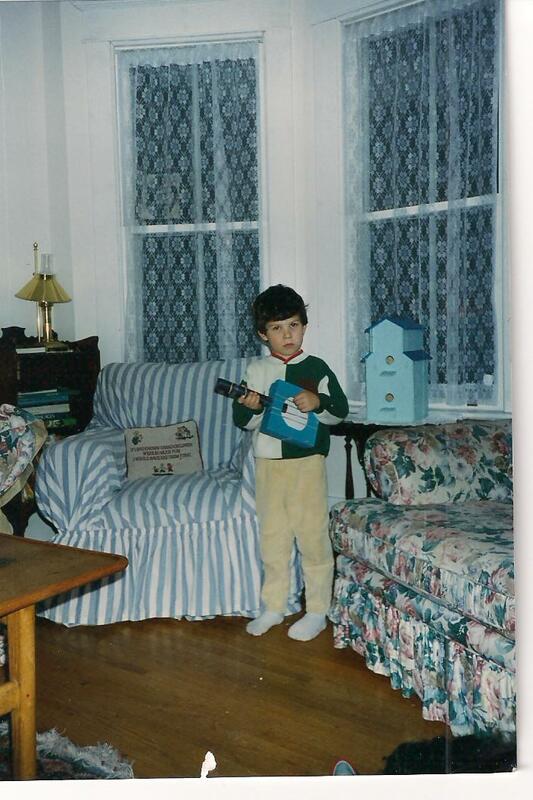 My father was a musician. Although he decided he couldn't make enough money as a professional trumpet player to raise a family, he never stopped playing and listening to music. Needless to say, our house was filled with music. 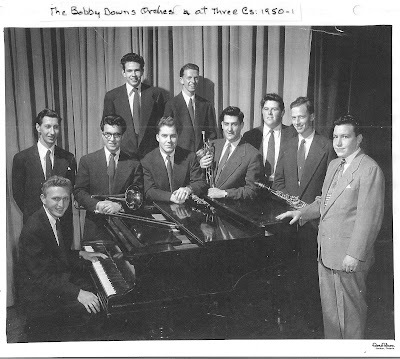 Although Dad's primary instrument was a trumpet, he also arranged music for bands and orchestras. That meant that we alway had a piano in the house. We were allowed (actually, expected) to explore the instrument as long as we were respectful. Later, when I had my own children, we bought a second-hand, electric piano and my Dad built a stand for it at child height. They both loved to explore and pick out tunes. 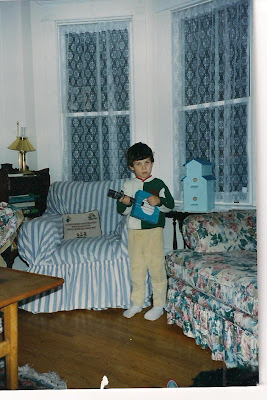 When we went over to "Grandma and Papa's" the boys were allowed the same musical privileges that I'd been given. 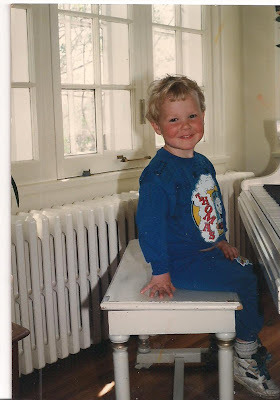 The point I'm trying to make with this walk down memory lane is that music and rhythm are fundamentally important to the development of young children. 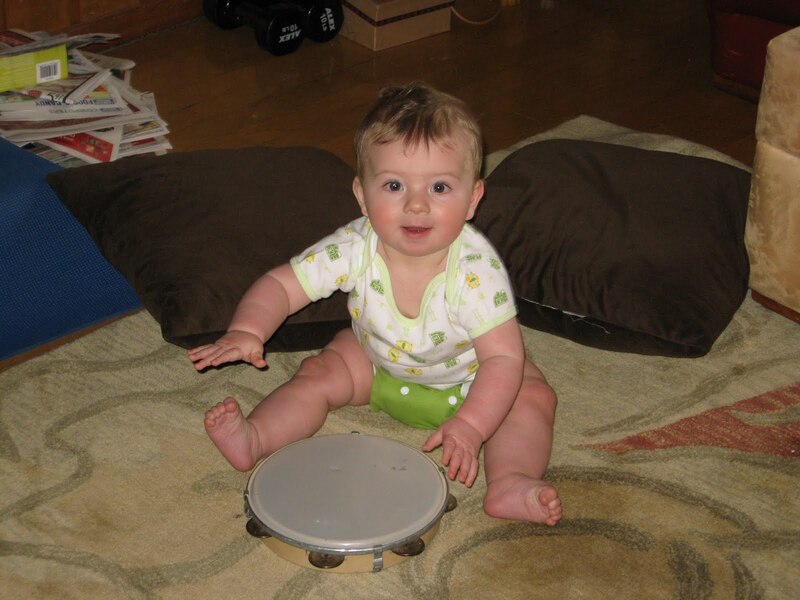 Children should have access to rhythm and musical instruments from the very beginning of their lives. Here, S. bangs on a tambourine. What a lovely sound! Later, Mom can play music on the stereo, take up her own tambourine, and they can keep time to the music together. Pianos are large and expensive so it isn't always feasible for a family to have one available to children. 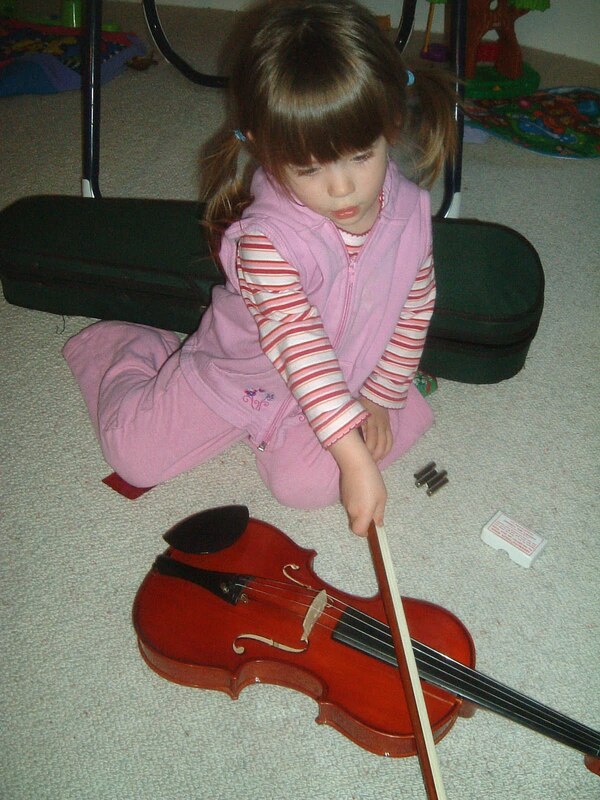 As far as I'm concerned, any instrument will do as long as the child is taught how to handle it with respect. Here is a picture of E. exploring a violin. Experimenting with different kinds of instruments adds to a child's development and love of all things musical. Scouring thrift stores or swapping/joining with another family are great ways to give your child different musical experiences. 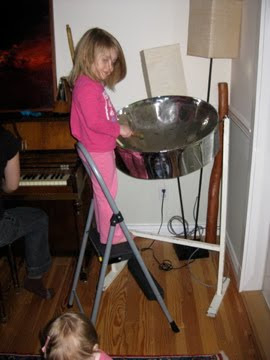 In the next two pictures, C. is having a wonderful time playing a steel drum with some family friends. When my boys were small and money was even more scarce than it is today, I would cover the coffee table with a blanket and put out all the lids from my pots and pans on top of the blanket. Then, armed with wooden spoons, the boys and I would bash in time to whatever music they wanted to hear. At other times, we would make our own instruments. In the classroom, the bells are always available for those children who have been shown how to handle them. Since I grew up hearing someone plunking around on the piano, I love the sound of the bells being played in the classroom. Most of the time they are played according to how they were presented but every now and then a child will just explore. This is one of my favourite sounds in our classroom. Music and rhythm are wonderful ways to bond with children. 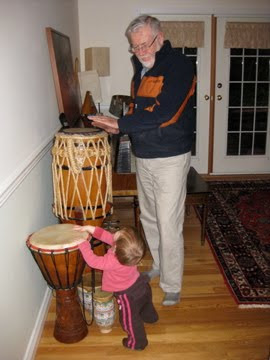 Just look at this photo of M. and her Grandpa making beautiful music together! If you play an instrument, let your children hear you play - often. If you don't play an instrument, have one around to explore with. Role modelling is just as important with music as it is in everything else. Sing all the time. Even if you don't think you have a good singing voice, sing anyway - your child will love it. Read lots of nursery rhymes to your children. Let them hear the rhythm in the words. Here are some links to articles about children and music if anyone is interested in reading more about it. This is a post close to my heart. I did a degree and post-grad studies in performance - I play violin and piano. 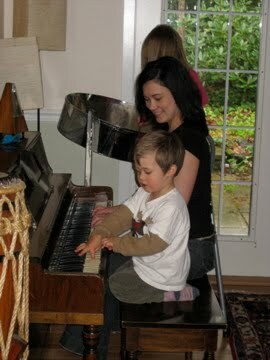 My children love to play on all the instruments we have around as my husband is a musician too. We seem to collect instruments randomly and have made the playroom into a music room. At the last count we had around 50 instruments in there. The childrens' favourite is the Hammond Organ. We play together, either informally jamming and improvising or reading music and practicing something together. One of our favourite jamming sessions is every-one crammed together on the piano and organ. If everyone plays black notes only it always sounds good providing you keep the beat. Sometimes some-one switched to one of the many drums we have or to the basket of percussion instruments. I know most families do not have the resources for this type of fun but it doesn't take much to make a really fab sound and have huge amounts of fun! I would love to witness one of your piano/organ jam sessions! Sounds like a lot of fun. And you are absolutely right, it doesn't take a pile of money or talent to have a music corner. Thank you very much for your inspirational comment. Wonderful post! I couldn't agree more about the importance of music not just for the child but for the whole family. I've also found that songs are like a magical way to get a two year old to do something they don't always want to do. I just pick a song we know and change the words to describe what I would like her to do. Like putting on her pajamas step by step. She loves it and it takes away any of the struggle. What a great idea! A child would love that kind of distraction and it would derail a lot of frustration on the adult's part, too. Great post about music in the home. Your children will love what you love. Oh, how lovely to have a harp! What a wonderful sound that would make for a child. I teach music in a Montessori school. I've tried several times to put work into the classrooms, but it is never mentioned by the teacher and goes undone by the children. How can I present work to the classroom and have it be seen as a welcome addition and not an imposition? I'm trying to have quieter activities, but most require two or more children so that they can check one another's work. Suzanne, I've sent you an email. Hi Cynthia! I loved this post. 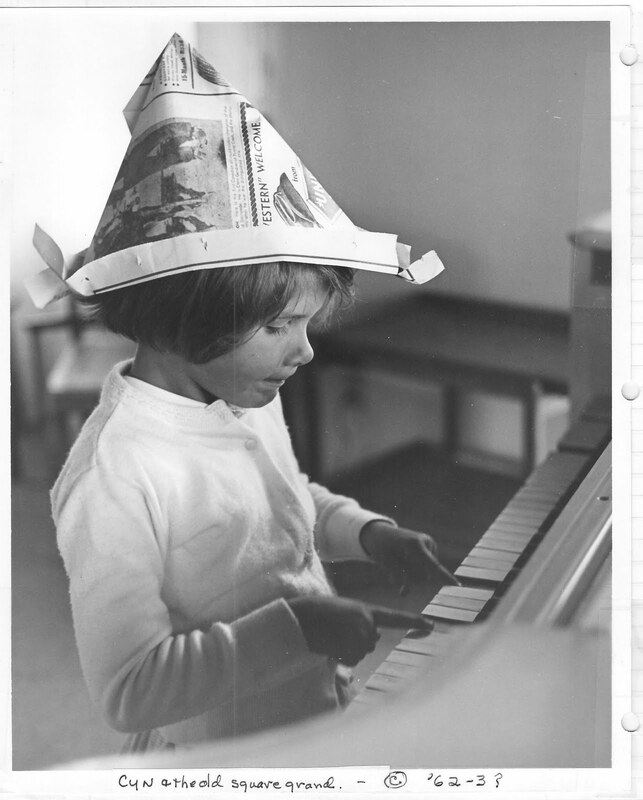 I teach music at a montessori and was wondering if I could use the sweet picture of you at the piano (the one where you're wearing the newspaper cap) for my piano lessons flier for the kids. I was looking for an image and this one is perfect.